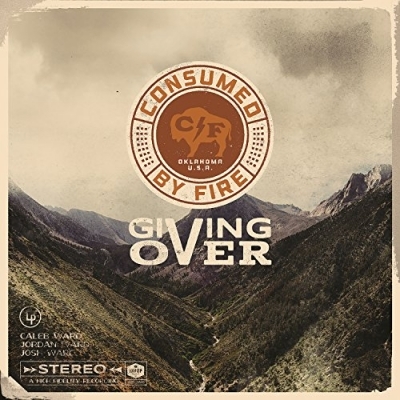 Consumed by Fire are an American Christian music brother trio from Wagoner, Oklahoma. They started making music in 2010 with their first album, Something Real, that was independently released. Their second release, Lean on Me, which was an EP was released in 2015, with Inpop Records. Now they are back with their studio album Giving Over. Read More Consumed by Fire are an American Christian music brother trio from Wagoner, Oklahoma. They started making music in 2010 with their first album, Something Real, that was independently released. Their second release, Lean on Me, which was an EP was released in 2015, with Inpop Records. Now they are back with their studio album Giving Over. Opening track 'Lean On Me' sounds like it could be an IKEA advert soundtrack. Don't roll your eyes. This song is fantastic, modern and fresh. I would even say it is indie, pop, quirky, rock with a happy go-lucky tilt kind of track. This song has everything from guitar solos and saxophones to a great beat and a catchy chorus. So the album starts strong. We then move on to Thorns and Sorrows which musically falls straight from the Rend Collective box of tricks. You know what I mean, a little bit Mumford & Sons. What really stands out on this track are the vocal harmonies, which are truly spine tingling. It's during 'He Waits For Me' that the album go into its power ballad moment. All albums have these kind of songs: slow, intimate, building into a big anthemic chorus. This song though has a more Gospel feel to it than I was expecting, which might be because of the vocal delivery or it might be because of the big Gospel choir in the chorus! Anyway it's a great song that will uplift you. The saxophone summer kissed songs continue with Learning to Love. This is a very radio friendly track, not just because it's under 3 minutes long. It just has an upbeat pop feel that radio stations love. Don't let that put you off the track, I really like it and would recommend it. Just over half way through the album seems to change. I can't put my finger on it fully. Of course the quality of music is as good, the production is top, yet musically it just all changes. Even the vocal delivery seems different, again I really can't put my finger on it. It's like someone told the saxophones to be put away and everybody to get a bit more serious. There is nothing wrong with an album taking a twist or a turn. There is nothing wrong with an album trying to not sound like its previous tracks to keep it fresh, it's just this change seems to alter the whole mood of the album, it's crazy how apparent it is. Maybe that's the plan of the band all along and it's none of my business. Let me just add that "Hold The Rain" and "Walk Through The Fire" are lovely songs with some great tones that are well worth checking out. How to sum up this album in a short swift paragraph? It's definitely a game of two halves. Both good, just a very different approach to them. I would recommend this album as the musicianship on the whole of the album is up there with some of the best I have heard this year. The vocal delivery at times is sublime and actually when I think about it there are many tracks on here I would add to some of my favorites of the year.